Childhood Cancer Foundation, Inc., ("CCF") a non-profit organization that provides support to families with children (19 and under) that have been diagnosed with cancer was founded in August of 2004. CCF helps the victims – the families that are being crushed by this disease. Most times, at least one parent looses their job. Single parent families go from just-getting-by to barely making it. CCF does it because no mother should have to choose between gas money to get their child to chemotherapy or paying the electric bill. As parents, uncles, aunts, sisters and brothers, not one of us would want to have to face cancer alone. So CCF try to make sure no one has to. CCF supports the family who has a child or sibling that has been diagnosed with cancer. CCF pays electric bills, CCF buys groceries, clothes, shoes, gas cards, and helps paying for lodging at Ronald McDonald Home. CCF provides birthday, Christmas and End of Treatment gifts. CCF will pay for car repairs or help to find transportation. CCF provides lunches for those in the hospital (to all three hospitals) not just to providing an alternative to hospital food, but to give the children suffering something fun and positive to focus on. CCF volunteers hold their hands and dry their tears. They listen and give the needed hugs. CCF does whatever it can to help. CCF will also help pay for funeral expenses if the regrettable occurs. Once a child has been diagnosed with cancer until they are in remission, reach the age of 20 or pass away CCF will support the family (as long as they remain in Volusia County). CCF gives assistance when they ask for it – for gas money or electric bill. CCF are available all year round. CCF will also refer families to other sources of assistance if CCF knows they can help – charitable organizations, Medicaid, local churches. 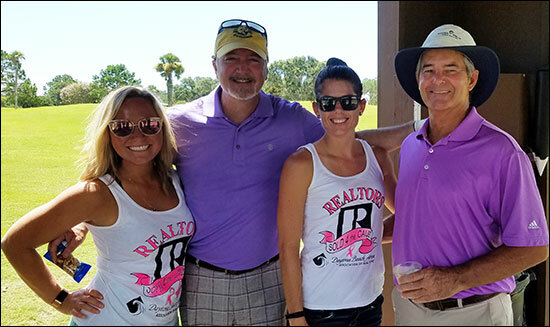 All monies raised stays within Volusia County.